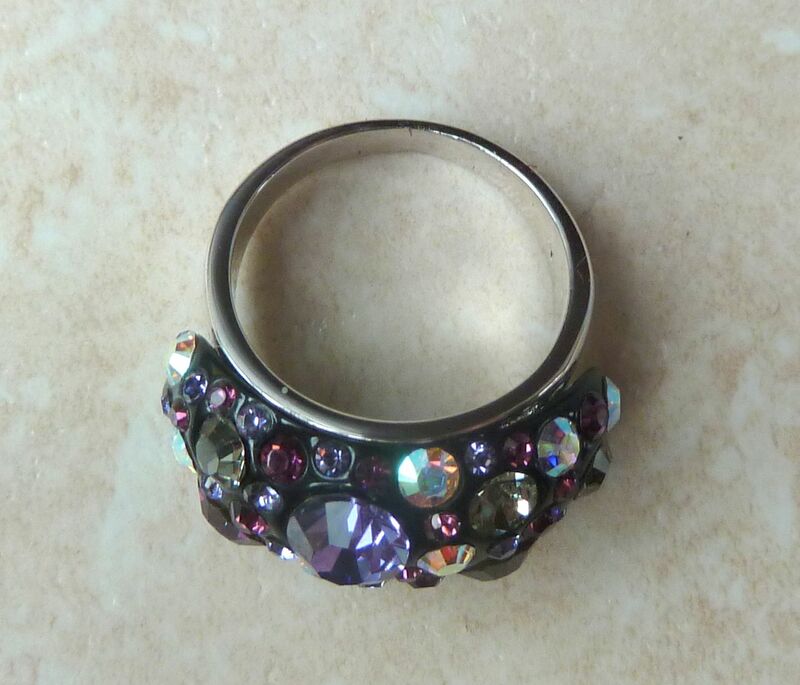 Large multi-coloured rhinestone studded cocktail ring, with red, purple and aurora borealis rhinestones. 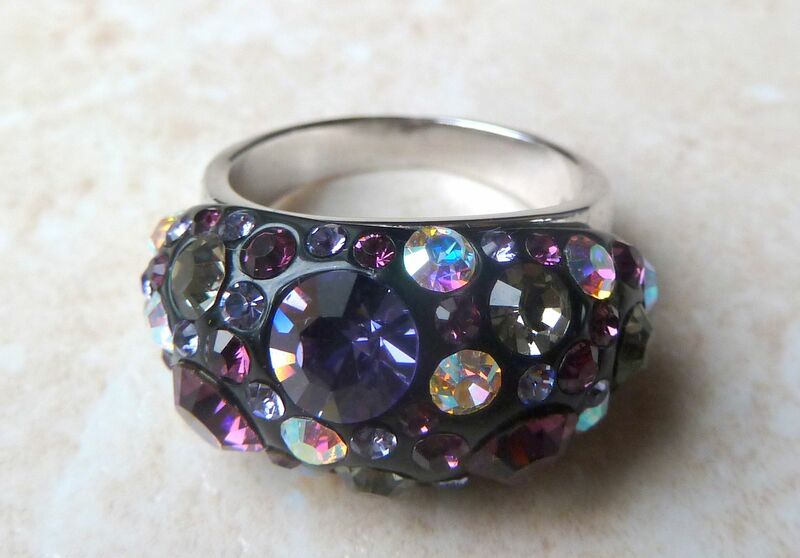 A large multi-coloured rhinestone studded cocktail ring. 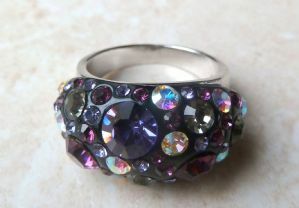 The front of the ring is set with differently cut and coloured rhinestones in purples, reds and aurora borealis colours. The main body of the ring is formed from a silver tone metal. It's a striking modern piece in mint condition. Striking large modern cocktail ring. Emerald And Clear Rhinestone Cocktail Ring. Clear and green rhinestone studded cocktail style ring.